The quality of your home’s air is important for so many reasons. Clean air keeps your family healthy, and air with the right level of humidity can help your family recover when illness strikes. You want air that is free of allergens, pollutants and odors, and you also want to avoid the issues that come with dry air. An air purifier is a must to protect your family’s health, but you’re also considering the benefits of a humidifier. Dry air can irritate your skin, your nose, and your lips. It’s especially difficult during the wintertime as illness abounds. The best solution to all of these problems, in terms of price, effectiveness, and even space, is to get a unit that combines an air purifier, and a humidifier. That way, you get all the benefits of clean air mixed with the health benefits of properly humidified air. Here are the top five models that combine these two very important functions. 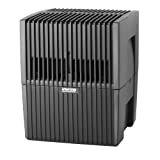 The Venta Airwasher does pretty much what the name implies. It draws air into its rotating disks, and uses water to effectively wash it. The air that comes out is free of allergens, germs, and pollutants. It’s also been humidified to cut down on dryness. By humidifying the air it can help relieve congested noses, cold and cough symptoms, and the chapped lips that often accompany these things. The purifying function then seeks to make these illnesses less common in your home. It even alleviates odors, and there are no filters to clean, which means it’s easy to maintain, and better for the environment. 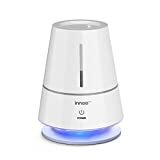 This small and stylish Innoo Tech Ultrasonic Warm & Cool Mist Humidifiers Air Purifier pretty much does it all. It’s compact enough to go anywhere, and it runs quietly. You can use it on warm or cool humidifying modes, and you can even pop in an aromatherapy pod to give your home a calming fragrance. It’s built-in water filter catches germs, allergens, and odors, and it’s easy to replace. 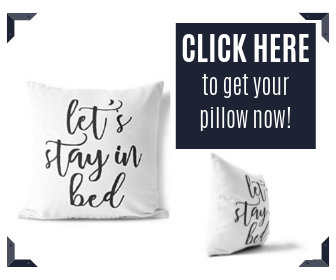 It has an auto shut-off feature, and it’s the perfect addition to a playroom or nursery. You can rest easy knowing that this little guy is working hard to rid your air of everything from diaper odors to influenza, all while keeping everyone comfortable and relaxed. Humidifies while Removing 99% of Dust and Allergens. Water Filter Technology with No Replacement Filter Needed. Easy Water Fill, Auto Shut-Off, Variable Humidification Control. The Green Pure purifies, it humidifies, and it looks really good doing it. It can rid your home of pollen and dust, and its parts are easy to clean in your washing machine or dishwasher. Like the Venta model, it uses water to actually wash the air, and you can see the dust and dirt particles as they are removed. It runs a little louder than the Venta, but it gets bonus points for its modern design. An LED light display let’s you know when you need to add more water to the base, and for a scented room you can also add aromatherapy oils. It has a nice, compact design, and it can clean a room that’s up to nearly five hundred square feet. This Envion is made for all four seasons, and it has four functions to prove it. It heats, cools, purifies, and humidifies. What more could you want from an easy to store tower unit? You get your money’s worth from all this multi-functionality, and you help keep your home comfortable no matter what. You can even adjust the temperature, and the humidity, at the same time. Its HEPA filter does a great job at removing bacteria, mold, and germs from your home with just a touch of a button. You get a compact unit for a great price that can do a lot more than models that cost more than twice the price. Blue Pure 411 Air Purifier brand has a long tradition of creating products that perform well without a lot of extra bells and whistles. They earn their keep by doing well exactly what they promise they can do well. 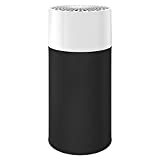 In this case, the Blue Pure Air Purifier does a great job of purifying the air with its 3-PART FILTRATION system, and it also uses a charcoal filter to easily remove odors. 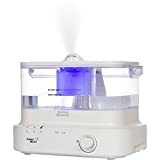 Its cool mist humidifier doesn’t use hot steam, so it’s perfect for kids’ rooms, or small spaces. Plus, the unit automatically senses the room’s humidity level, and adjusts accordingly. It’s a reliable piece of equipment that makes up for its high price in it its high performance. If you’ve been considering the benefits of either an air purifier, or a humidifier, then it makes sense to combine two. You get more bang for your buck, but you also get air that is better for everyone in your home.